Memorial Day weekend was a big weekend for the folks at Grand Cru Classes, the only wine education organization in Long Island wine country. You see, not only have the renovated their barn and converted it into a classroom, but last weekend they finished planting their educational vineyard. They even have their vineyard dogs on the job. There is no doubt that Sabrina and Annabelle are up to the task ahead. Congratulations to both Jared and Tracy on what had to be an exhausting holiday weekend. I'm sure that the fruits of their labor (pun intended) will be well worth the work, however. This is such a cool project and their education center is really taking shape. Read more about the vineyard and their bar renovations at Jared's blog Vine Views. I think I've done an admirable job of not posting too many pictures of our little guy. 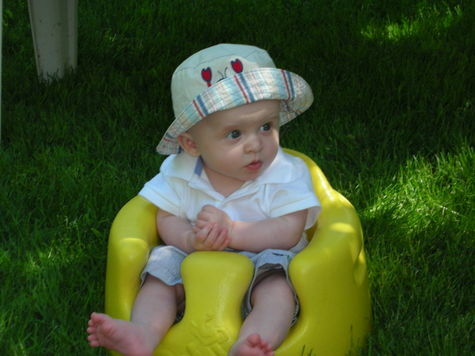 But in celebration of the holiday weekend that has just passed, here's a quick shot of my little buddy. And, we got some good news today. Jackson can start with infant cereal this week and if all goes well, green vegetables can be added to his diet next week. 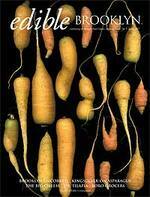 We, of course, are planning to make our own baby food, so that is yet something else that I'll be writing about here. You know, in all my ample spare time. The following is an email I received from Howard Goldberg, a well-known wine writer who I read most often in the New York Times in his "Long Island Vines" column. As you will see, he offered it up for publication here on LENNDEVOURS, so that is what I'm doing. Below his email is my response as well. Your Web entry of April 25, which recently came to my attention, suggests a failure to respect such elementary principles of professional journalism as fairness and accuracy. The question in the title, “LI Wineries Shutting Out Howard Goldberg?”, is never precisely answered in the body of innuendo that follows it. There is an odor of McCarthyism in such an approach. I do not object to criticism, but I do not admire a careless editorial mentality that fails to question others’ assertions closely. Had JaredS and you bothered to check my New York Times bylines, available sequentially in Google, in any serial run starting at any date and ending at any date you would have been unable to find “scathing” material “ripping someone to shreds” in “every 5th or 6th column.” Demonstrably, no such prevailing pattern exists, except in JaredS's imagination. 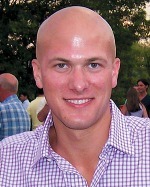 I recommend that you invite Mr. Meredith to publicly identify that winery on your Web site and insist that he do so. You will find that he cannot, because such a winery does not exist. 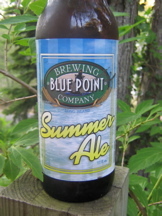 In all the time that Long Island Vines has been published, not one producer has ever explicitly refused to provide samples, though from time to time there has been seeming evidence of a reluctance to do so. If you want to earn and retain your readers’ trust, Mr. Thompson, you might consider honoring the basics. I will absolutely post your email, in its entirety, on my blog. In fact, I'll probably do so today. As I'm sure you're aware, blogs are a completely different animal from traditional print journalism. With that in mind, I don't think that I need to answer the question in the post's title. 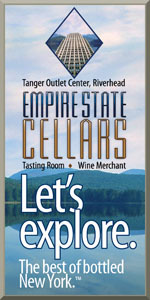 It was meant as a question for my readers--which include many of the winemakers and winery owners in New York State. Also in that vein is the fact that, other than in the instance of content spam, I would never assert any sort of editorial control over comments made by readers. To do so would not be in the spirit of blogging, community and transparency. 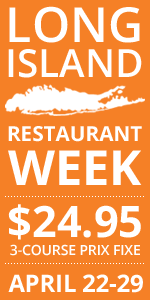 I have also emailed you numerous occasions in the three-plus years I've been covering Long Island wines both on my blog and in several print outlets. Your responses have ranged from non-existent to dismissive. I think that if you spent some time on my blog, you'd quickly see that my readers trust me much more than they do most print journalists. Partially, that is just the nature of blogs. I have the advantage of immediate feedback and discussion via the comment mechanism that you (and other print journalists) don't have. I also have their trust because I'm bluntly honest in every word I write, which is the most basic of all journalistic principles in my mind. I won't speak for Jared or Robin -- as it is not my place -- but something tells me that they will comment when I post your email. Perhaps you can respond to them directly in the same forum. Thanks again for your email. I'm always open to criticism of my blog, but in this instance, I think perhaps you're treating it as if it were a traditional print vehicle, which it is not. I've mentioned it a couple time already, but on May 16, Long Island wine invaded Brooklyn. “Brooklyn Uncorked,” organized by the Long Island Wine Council, Edible East End and Edible Brooklyn, offered Brooklynites (and Manhattanites really) the unrivaled—and long overdue—chance to taste Long Island wines without trudging out to the East End. Thirty-plus wineries and a few other vendors descended on the Brooklyn Academy of Music's BAMcafe for a walk-around tasting event. I was lucky enough to attend the press and trade portion of the event. 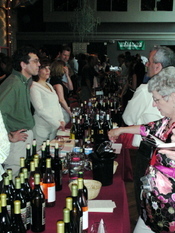 The crowd wasn’t huge, but it was steady and it seemed like people were really enjoying the wines in general. I didn’t stick around for the public portion, but I’ve heard that it got pretty crowded, but that attendees were even more interested in the wines than the ‘professionals’ which, in the end, is all that matters right. 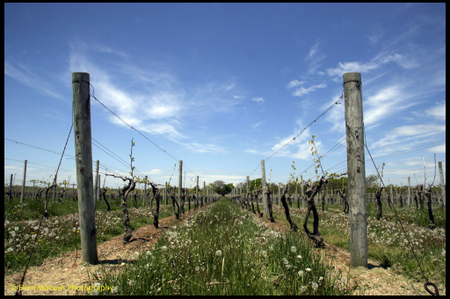 Long Island wineries need to reach the end consumer first and foremost. Overall, it can only be considered a successful event and here are some impression I came away with—both good and bad. There just wasn’t enough food available. The size of BAMcafe may be been a constraint here, but when people are tasting a couple hundred wines in just a couple of hours, having a little cheese, some just-shucked oysters and some wine sorbet (more on that in a moment) just isn’t enough. I’m not suggesting that this turn into the old Windows on Long Island event in Manhattan where the winery-to-restaurant ratio was nearly one to one, but a little more sustenance would have gone a long way—especially given the quality of the restaurants and food vendors in Brooklyn. More wineries should have poured their best wines. I was surprised that a couple wineries didn’t participate at all, but was even more surprised—and disappointed—that some of the wineries in attendance didn’t pour many, if any, of their best bottles. I understand that wine costs money, but these types of events—which don’t happen more than once or twice a year—are our region’s best chance to create new fans. Don’t show up with just your second-label wines. Bring your best and really represent the region as best you can. Hopefully Brooklyn Uncorked becomes an annual event...maybe in a bigger space (the event sold out easily) with more vittles next year. Long Island needs events like these to start dominating its own back yard. Neil has also done a post with his impressions, so check that out as well. 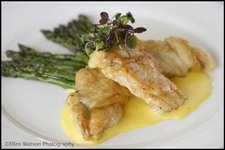 Photo courtesy of Shinn Estate Vineyards. Washington wines...we've all ready about them in books, magazines and blogs, but have we really taken a hard look at them? I know that I haven't, though I've had some terrific ones over the years. The 34th edition of Wine Blogging Wednesday, hosted by Through the Walla Walla Grape Vine will force us to look at Washington wines -- Washington cabernet sauvignon in particular. 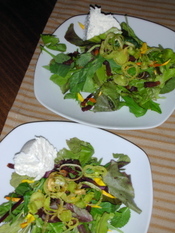 Originally, Catherine wanted to focus soley on her bread and butter -- Walla Walla wines. But, that can be tough for people outside of metro areas. Wednesday June 13 is the date, so make sure you get out and buy your Washington Cab soon. It's not every day that I find myself quoted not as a blogger but as someone who follows and knows the New York wine industry. The story, in the Itacha Journal, focuses on 'truth in wine labels' when it comes to Finger Lakes wine. You might remember that there was quite a discussion on a previous post about just what grapes go into some wines labeled with the "New York" AVA. This is a shot taken in the Hamptons at Wolffer Estate's vineyard on Sunday morning by our resident photographer, Ellen Watson. "I stopped on 27, away from the buildings, etc. of the winery. I love this image between the two posts. I think I will document this spot throughout the season to see how it changes with time." Note: If you want to use this image as a desktop background, click on the image above for the full-size one. Briefly, I'm going to ask the same 7 questions to people throughout the New York wine industry (with minor tweaks depending on the person's role). And, I won't limit this to winery owners or winemakers. There are a lot more people behind the scenes that don't get the attention they deserve. We start this new project with Trent Preszler, chief operating officer for Bedell Cellars. When I was ten years old, my grandpa shared a bottle of Cold Duck at Thanksgiving dinner. I sat down with my advising professor at Cornell and said that I had a background in business and botany and wanted to somehow merge the two. He suggested wine, and the rest is history. Bedell 2005 Gallery is, I think, one of the best white wines I have ever tasted. An extremely complex and luminescent blend of chardonnay, sauvignon blanc and viognier. What has surprised you most about running a winery on Long Island? The complexities of managing such a diversely arrayed business -- PR, marketing, science, agriculture, packaging, human resources, HR, etc. I went through a phase recently where I was obsessedw ith dry rieslings from the Mosel. But of late I've been diving into White Burgundy with great enthusiasm. Everyone raves about Port and chocolate, but I really don't like port. I'd much prefer the classic combo of Sauternes with heavy cheese. My fondest memories of wine have all taken place when I was having dinner with friends, and it doesn't hurt of there is a sunset involved. I'm way behind on my posting, but we had a dinner party Saturday night and I spent much of the tail end of last week preparing for it. Yes, I'll have some pictures of the party soon. Yesterday afternoon, we took a quick trip to the North Fork with some friends who were in town for the weekend. We stopped a couple wineries and it ended up being a beautiful day. But, I was disturbed at the behavior of one tasting room visitor at Corey Creek Vineyards, which has become a frequent stop for us because of their beautiful back deck overlooking the vines. Nena is really digging their rose right now too, so that helps. Apparently Corey Creek and Bedell Cellars (they are sister wineries) have changed how their wine clubs work. I'm not in any of their clubs, so I don't know any details, but there was a guy who came in as we tasted who is clearly not happy. He walked in with five or so friends of his and went out onto the deck. Then he came back in alone and proceeded to badger and bark the tasting room workers about the changes made to the club. I wasn't eavesdropping too closely, but I heard him throw out phrases like "I've bought a lot of wine here over the years" and "You can't break our contract" and "I won't buy any more wine here and I'll make sure my friends don't either." He was really huffy and eventually he and his friends marched out in single file defiantly. It was quite a pathetic, immature spectacle really. I'm not saying that he didn't have the right to be upset. But, to take it out on the people at the tasting room is just ridiculous. One of the pourers is a recent college grad and I think the other is still in college. They aren't full-time employees. They aren't the ones who changed the way the wine clubs are set up. If you're a member of the club, clearly you have the phone number for the winery office. Call the people involved in the actual decision to change the clubs. In the end, the guy really just made himself look like a bully who eventually pouted and stormed off when he didn't get his way. Isn't wine supposed to be fun? Aren't we supposed to enjoy ourselves when we visit wineries on beautiful spring days? Sam over at Becks & Posh has written a post that I think people need to read. We all know that we can get better, tastier, more responsibly grown produce at farmer's markets. But did you know that it can be cheaper? I've never done a detailed comparison myself, but read her post to see what she found. Wines like this one are what make Wine Blogging Wednesday so great. You see, my knowledge of French wine is mediocre at best and my knowledge of wines from the Midi is even more limited. Actually, I know next to nothing other than that it's hot there and there are lots of bargain wines being made there. And, when I think hot regions, I think about the plush, fruit bomb wines of Australia and parts of California. As you may have guessed based on the wines I typically review and drink, those wines are not my cup of tea. And that's why I went into this edition of WBW with a little trepidation. But, at least Marcus didn't want us to spend a lot of money this time 'round. What did I have to lose? A bias against hot regions for one. 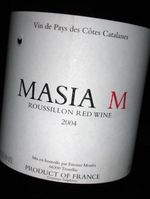 According to where I got this wine (Greene Grape) Château de la Casenove 2004 Masia M is 100% Carignan, a grape that I don't know much about, and for $13, this is absolutely a wine I'd drink again. I'm swamped with work tonight, so a full review (with background information etc.) just isn't gonna happen, but you can learn more about this producer elsewhere on the Internet. As I sit here writing and working on some other projects, this wine is really opening up. When I first poured it, it was pretty faint on the nose, but with twenty or so minutes in the glass, earthy, rustic cherry aromas are really developing and expanding. That rustic, dusty earthiness really comes through on the palate as well with some sweet cherry and some toasty oak flavors. It's a pretty soft, supple wine, and regardless of what Greene Grape's site says, this wine seems more like a Grenache-dominated wine to me. I see that previous vintages were a blend of the two. Regardless, this seems like a good wine for casual drinking (maybe with burgers right off the grill?). And, again, I'd definitely drink it again. 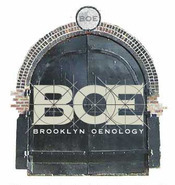 The fine folks at Edible Brooklyn have gotten around to posting the current issue, Spring 2007, on their website, so now I can point you to my first "Empire Oenophile" column there(It's a pdf). I think you'll find it an interesting read--especially if you're sick of always reading about Long Island wines. In this particularly column, I focus heavily on the Finger Lakes but then include Long Island as well. Gary Vaynerchuck Just Bought Cork'd. Is he the Next Rupert Murdoch? This just in: Gary Vaynerchuk, everyone's favorite wine vlogging superstar, has just agreed to purchase cork'd as a part of a newly formed company (which he will head). On the surface, this might not sound like big news, but I think that the potential growth here is huge. I've toyed with places like Cellar Tracker and cork'd in the past, but none of these site have really impressed me as anything more than searchable mini-blogs where people can post tasting notes. Sure, that is still providing a service to users--and online tasting journal. But I have a little black notebook and this blog for that. I always wanted more "community" from these sites and Gary is the king of community, having built the juggernaut that is Wine Library TV. When I asked Gary about his Rupert Murdoch-esque purchase he told me "We will do everything to make it a very exciting place to visit and share wine thoughts and we are aware there are many things we need to do to make it RAD for wine lovers and plan on doing them all." That's a tall order, but maybe we can help him out a little bit. If you're a cork'd user or have used it (or any other similar site in the past), what would you like to see changed, added or enhanced on the site? I'm sure that they'll adopt the same 100-point scale that Gary uses, which I don't love, but that's a common beast in the wine world that is not worth arguing about. There will also, no doubt, be some tie-ins and co-branding between cork'd and WLTV, that will be interesting to see and let's hope that the cork'd site doesn't get too heavy handed with the hard sell. Gary does a nice job of balancing WLTV with the online store, so I hope he continues to walk that tightrope. Anyway, I don't want to bias anyone with my own opinions just yet, so let me (and Gary) know what you'd like to see at cork'd. Leave your thoughts in the comments on this post. What, you've never heard of Br ooklyn Oenology? Don't feel bad. I hadn't heard about them until fairly recently myself. But, they've launched a new website this week. 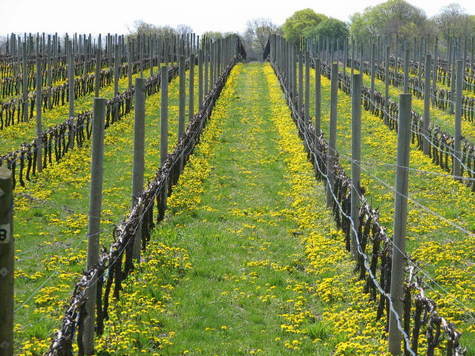 Basically, they've bought some North Fork fruit and are making wine in Brooklyn. How is the wine? I have no idea, but I'm looking forward to meeting the founder/winemaker Alie at Brookyn Uncorked later this week...and of course I hope to taste their 2005 Chardonnay and 2005 Merlot. Stay tuned for more info about these guys. I'll pass it along as I can. Oh, and just a little warning, their website blows up in FireFox, so make sure that you're using Internet Explorer. And don't get me started on the usability of the site. 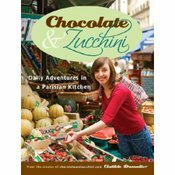 Tomorrow, Chocolate & Zucchini: Daily Adventures in a Parisian Kitchen will hit bookshelves for the first time, and I couldn't be happier for its author Clotilde Dusoulier. Yes that Clotilde, the fun, hungry writer behind the Chocolate & Zucchini blog. She's actually in New York City tomorrow for a book signing that kicks off her U.S. publicity tour. Why do I bring a Parisian blogger's book release on a New York-focused wine blog? It's simple, I did the wine pairings for the book...without relying on my New York expertise. It was a lot of fun and Clotilde was very complimentary both in her acknowledgments and in a brief note about the pairings. I'm also excited because I've seen the recipes in many iterations as we worked on the pairings, and let me tell you...there are some very tasty morsels to be had here. Some of the recipes will probably make you step back and say "Really? That goes together?" but they do. And I think we came up with some great wines to go with. Buy a copy today...seeing blogger books succeed gives me hope that maybe one day the book or five that I've got knocking around in my head will come to fruition. Stopping at Roanoke Vineyards for their De Rosa launch party. De Rosa is the name of their rose wine (it's named for the owner's grandmother). Fresh, crisp and much much better than the 2005, we bought a few bottles to enjoy on hot days. After picking up some flowers, we also stopped at Corey Creek Vineyards for a glass of wine. Nena is really loving their 2006 Domaine CC rose, so she had that. I went with a glass of the 06 gewurztraminer. I keep coming back to that wine lately. Corey Creek has a great back patio overlooking the vines. We, of course, stopped at Sang Lee Farms to pick up some of their 'petal mesclun' (a mix of fresh mixed greens with edible flower petals) which is our all-time favorite salad mix. Briermere Farms makes some of the best pies around and we stopped in to pick one up for Mother's Day. Nena, being the mother and all, chose the blackberry. I'm a big fan of anything peach that they make in the summer. Happy Mother's Day to Nena and to my mom and grandmothers!